Brother XL2600i sewing machine is an affordable range of sewing machines that has been developed and introduced by premier providers of home and office products, Brother International Corporation. They did not disappoint the users of this model in anyway by implanting all the essential features in a single product, thereby, leading to the creation of best end products of sewing by using this sewing machine. And, this is the major reason why Brother International Corporation is considered as the leading producers of sewing machines as they continue to strive hard for introducing the best product into open market. 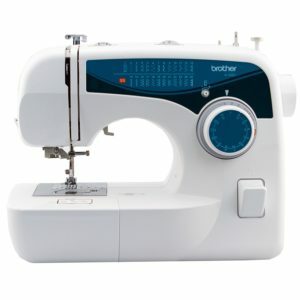 The current sewing machine model from Brother is an affordable, free-arm machine which will be perfect even for the beginners. The machine is constructed with the features that are easy to learn and is light weighted (weighing just 13 pounds) as well as compact in design. This model has been constructed with as many as 25 in-built stitches and each of these stitches is coming with multiple stitch functions. 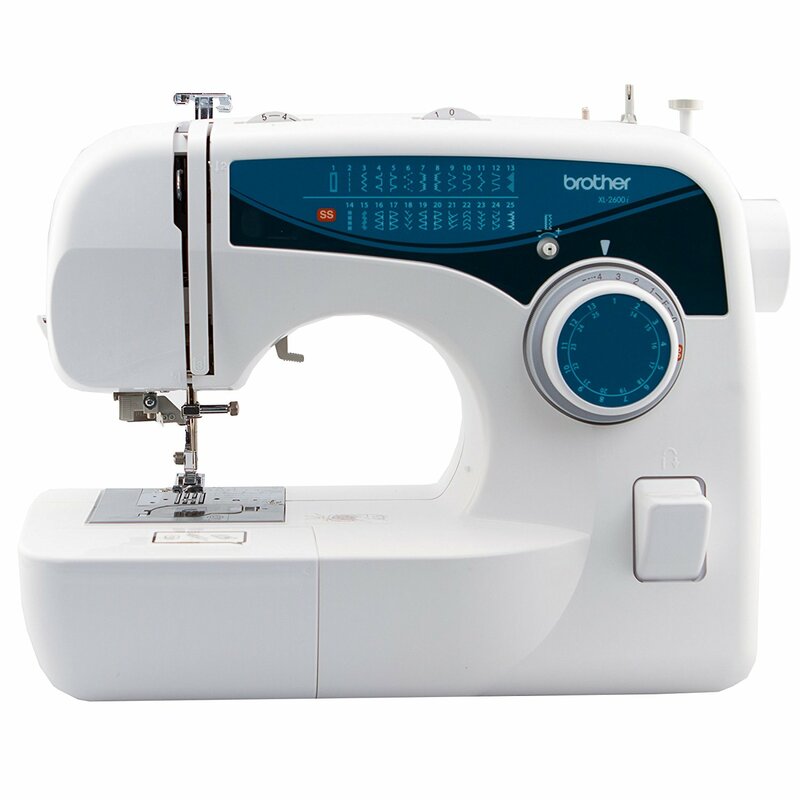 This sewing machine model also comes with the features such as one-step auto-size buttonhole, needle threader and drop-in bobbin system which are present in more advanced, high end models like Brother XR9500PRW. This is a 110-volt sewing machine that is operating with the foot pedal. The current model has been constructed with plastic body and can be highly durable if used wisely following the manufacturer instructions. The current sewing machine model has been constructed with various useful features and these features make this product more suited for both novices and everyday sewing projects. Stitch Selection Made Easier: With the current model of Brother sewing machine, the selection of stitches is easier. This process is just as easy as turning of the dial. Reliable Threading System: This model comes with an automatic needle threader with which the threading is made simple. For threading, you will have to just follow the threading diagram that is printed on the machine. The in-built automatic needle threader would then take care of your needle threading for you. Auto-sized Buttonholes: Your Brother sewing machine would reach you with in-built one step buttonhole stitch. By using this feature, you can be able create custom-sized buttonholes easily with the help of buttonhole foot that is included with the system. Jam-Resistant Bobbin System: The sewing machine reviews suggest that the current sewing machine model comes with the jam resistant and top drop-in bobbin system. Hence, with this model, you will have to just drop in your bobbin and pull the thread through the provided slot in order to start off with your sewing process. Varied Stitch Functions: This sewing machine comes to your workplace with as many as 25 in-built stitches with each of them containing multiple stitch functions. These stitch functions include stitches like utility, decorative as well as heirloom stitches. This makes this versatile sewing machine perfect for several home projects like altering/creating clothing, crafting, quilting and home decors. There are some exceptional features in the current sewing machine that are making this model to stand out in the current market and are also responsible for making this sewing machine as the best sewing machine today. Thread Cutting Feature: There is an in-built thread cutter in this sewing machine which will completely eliminate the need for carrying a pair of scissors with you all the time. Reliability in Bobbin Winding: The Brother XL2600i sewing machine comes with the super easy bobbing winding system. With this, you will have to place the upper thread and your bobbin set on the winder. Then, you have to just push the bobbin control to the right. Your bobbin will wind for you now. The bobbin winding system with this model is fast, easy as well as reliable. Free-Arm Included: The current model comes with an in-built free-arm for making your sewing of sleeves, cuffs, pant legs and other smaller cylindrical items easier. Accessory Storage: The accompanying set of accessories can be stored without creating a mess by keeping all the accessories inside the extension arm. Set of Accessories: Other accessories that are coming along with the sewing machine set that can be utilized for various purposes include: Darning plate, Needle pack, Three bobbins, Extra spool pin, Accessory bag, Power cord, Screw driver, Zipper foot, Narrow hemmer foot, Blind stitch foot, Button sewing foot, Twin needle. This machine can be easily utilized for various sewing projects by making the best use of features like stitch selector, automatic needle threader, auto bobbing winding system, free-arm and so on. I am sure that all these features would serve in making the process a breeze and save your valuable time on fussing with needle and thread. Another feature that you will find it very helpful in making the sewing process easier is the one-step buttonhole. Additionally, there is a bulb to illuminate the sewing surface in order to ensure the accuracy during the process. Hence, with this sewing machine, you will have to just set the stitch and length of the button on presser foot, and you can see the machine doing the rest. This machine would operate quietly. This machine costs less with several features in-built. The machine comes with the 25-year limited warranty from the manufacturer. This is not a digitalized version. Thread tension operation is manual and can be challenging to find the appropriate setting. No presser foot adjustment in this machine. Selecting a sewing machine will be a very serious decision and is not very easy to choose a sewing machine depending upon your expertise and style in sewing. And, if you are deciding to purchase Brother XL2600i sewing machine, you will not have to regret for it. The versatility and value of the current sewing machine model will make it a great purchase.